Mister Shaver – the place for bearded men, happy introduce you the 9th Art Festival. The 9th Art Award is proudly supported by Plan B Books, Glasgow, Scotland’s first dedicated graphic novel shop, for comics and coffee. Most bearded men love comics and novels. And there is some good news for them. We are proud to announce that Stephen Collins beat out an incredible shortlist of graphic novel creators at our ceremony at the Edinburgh International Book Festival on Sunday night. 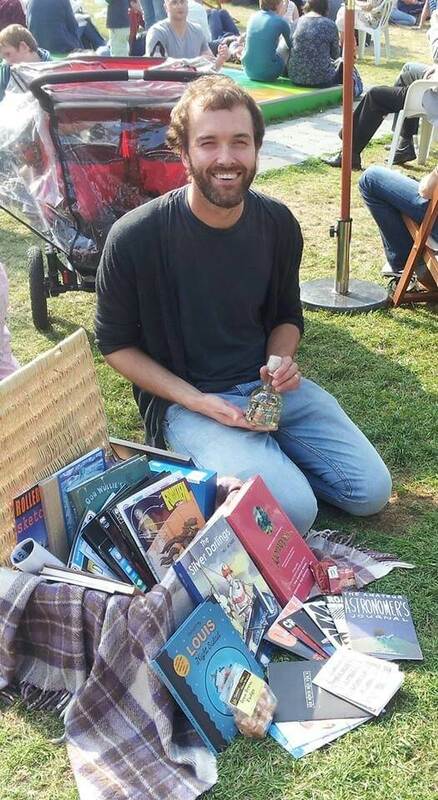 Here’s a video of Stephen accepting the award (filmed earlier in the day by our friends at Purple Trails as he had to rush away) and a photograph of him with his well-earned hamper of Scottish comics goodness. Craig Collins, Team Girl Comics, The Houdini Box, Weevil Productions, Metaphrog, Jane McGuinness, Stephen Goodall, Edward Ross, Poison Pixie Publishing, Braw Books, David Kerr, Neil Slorance, OR Comics, Cat O’Neil, Kathryn Briggs, Roller Grrrls, Coll Hamilton, Cct-Art, Tim Kindley, Dominic Kesterton, Emma Ahlqvist, Sophie Bryant, Jiwon Shin, Hannah Botma, Emily Cullen, Rebecca Tobin, Black Hearted Press, Never Ever After, Carolyn Alexander. The 9th Art Award is given to this year’s best English language graphic novel. The winner will be announced at a ceremony at the Edinburgh International Book Festival. The award is given to the best full-length graphic novel published between May 2012 and July 2013. Anyone who has published a graphic novel in English can enter, including small press and larger publishers. Entries will be judged by a panel of eminent arts and industry professionals. The awards ceremony will take place during the Edinburgh International Book Festival. Graphic Scotland is a Community Interest Company who were set up to support and champion the comics industry, particularly grassroots creators, in Scotland. This award is a Graphic Scotland initiative but is open to entries from anywhere in the world.